Superstar Rajinikanth is referred as style icon of Indian Cinema, and his histrionics and style are admired by millions of audiences. Rajinikanth seem to be redefining his style at the age of 64, in his forthcoming film Kabali, as his look in the posters are getting terrific response. been released long back, and the makers have recently released location pictures of Rajinikanth from the film, which has gone viral in the web media delighting all the Thalaiva fans. 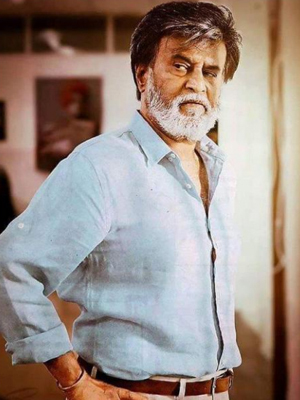 With the white beard, classy goggles and blazers, Rajinikanth is sure rocking the stills and raising the curiosity on Kabali. The shooting schedules of Kabali are progressing at a brisk pace in Malaysia, and the unit will soon head to Hong Kong and Thailand for further schedules of shoot. Kabali, directed by Young filmmaker PA Ranjith and produced by Kalaipuli S Thanu stars Radhika Apte, Dhansika, Dinesh and Kalaiarasan as other leads. Santhosh Naraynan is the music composer.